Rafael A. Ginebra and Melissa M. Rodriguez advised Laboratorios Elea in the negotiation of the acquisition of 100% of the capital stock of Laboratorios Phoenix, a pharmaceutical company located in Argentina, from Glaxo SmithKline. The transaction will close by the end of the year. David C. Camerini and Tomas M. Casalins gave a presentation in Santiago, Chile, about the Foreign Corrupt Practices Act (FCPA) and the necessity of having a Compliance Program. The presentation was held at Club de Polo y Equitación San Cristóbal. The event was sponsored by the Santiago international law firm, Palma Abogados. The presentation focused on the current applications of the FCPA and how the SEC and the DOJ are investing more time and resources to enforce it. The presentation was attended by executives of Chilean subsidiaries of multinational corporations and Chilean groups. Also in attendance were compliance officers of Chilean businesses, as well as local lawyers. Ms. Kundar’s chapter is entitled “Res Judicata and Collateral Estoppel a/k/a Claim Preclusion and Issue Preclusion.” It focuses on the finality of judgments, and how and when U.S. courts preclude relitigation of adjudicated claims and issues decided in courts outside the U.S. The chapter reflects Ms. Kundar’s extensive and successful involvement in cross border business litigation for our clients. In writing the chapter, Ms. Kundar was ably assisted by associates Amit Shertzer and Eve Kerzhner, former associate Jennifer Fisher and summer associate Elizabeth Taras. 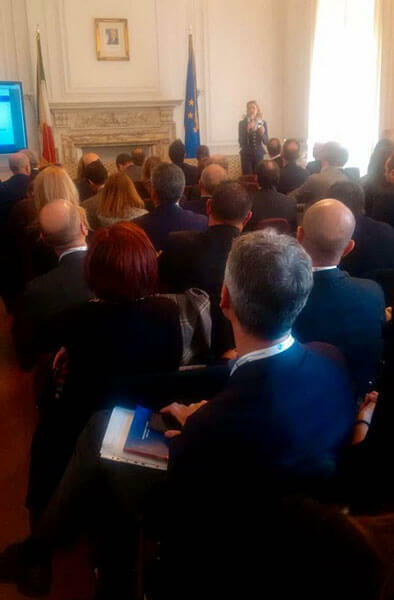 Annie Borello Fiorilla gives a presentation on corporate law at the Italian Consulate in New York in a conference held for the benefit of the National Council of Italian Certified Public Accountants, under the auspices of the Institute of Foreign Commerce (“ICE”), the Italian Consulate, the Italy-America Chamber of Commerce, the American Chamber of Commerce in Italy and major Italian banks. The Article focuses on certain aspects that affect US Persons (US citizen or legal resident) who at the same time are nationals of another country where they reside permanently. These individuals are known as “dual citizens”. While this is generally considered favorable, when other factors, like certain tax obligations, are evaluated, several disadvantages arise that should be taken into consideration. Please click here for the Article published in English. Please click here for the Article published in Argentina. Please click here for the Article published in Chile. Please click here for the Article published in Ecuador. Please click here for the Article published in Panama. Please click here for the Article published in Peru. Please click here for the Article published in Uruguay.